Whether you’re looking for pressure boosting, constant pressure, or pressure regulation, our product portfolio provides the right tools to bring your challenges under control. Ideal for new or existing applications, you will have the water you need when you need it. From old standard well pressure systems, to modern constant pressure systems we provide a wide range of options to cure your pressure issues. 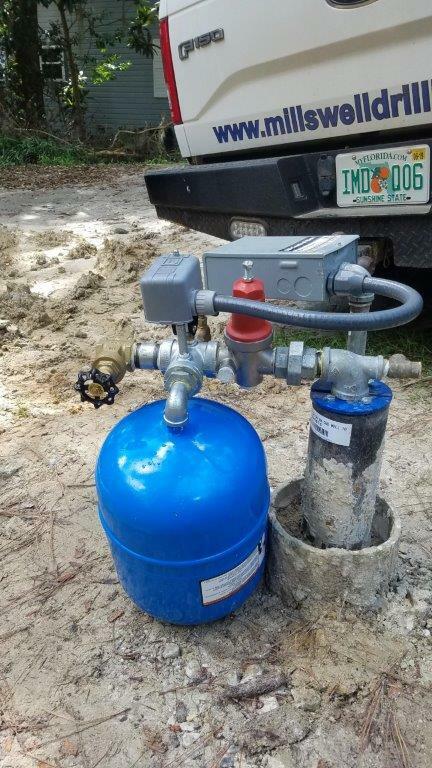 If testing shows your water well pressure tank is worn or damaged, we’re your team. Let us install your new Franklin Electric tank today! We are more than happy to give advice on which solution is most suitable for your needs, depending on your needs. Why not ask us to view your property and discuss the various options with you now. Our advice is free! A good company is more than just the sum of its products. Our organization is understandably proud of the many innovative products we've contributed to the underground construction industry, but we reserve the full force of our pride for the employees, past and present, who have made these products possible. 2018 © Mills Well Drilling, Inc.